Michael is an abstract artist living in Co. Wicklow. He attended both Dublin and Limerick Collages of Art. 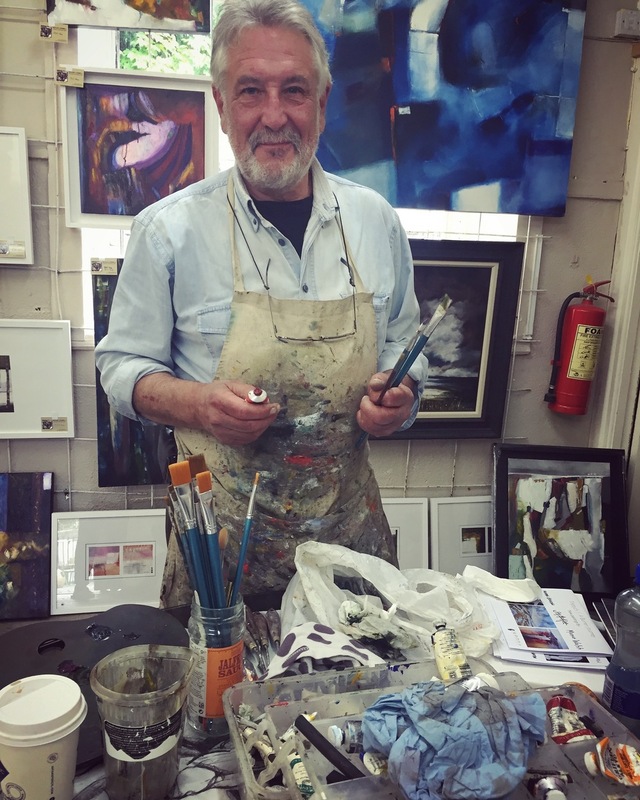 He recently exhibited his work in the Leinster Gallery Dublin. Damien is an Irish artist based in Dublin. His work is grounded in early writings on philosophy, theology, alchemy and the natural sciences and explores the mutability of ‘reality’ and language. In 2013, he exhibited in the group exhibition Island: New Art From Ireland in Galleria Civica diModena, Italy; in the three-person show Flood/NiBhriain/Vari at DOMOBAAL, London; and the group show Cafe Paridiso (Least common denominator, or Rustenschacher) at M1, Germany. In 2012, he was part of the group showMaking Familiar at Temple Bar Gallery, Crystalline at Millennium Court Arts Centre and Last at Douglas Hyde Gallery. He has been selected for the John Moores Contemporary Painting Prize in 2008 and 2010. Most recently he has been in the group shows Ngorongoro, Leiderstrasse, Berlin and Studio Chronicles a RH Contemporary Art, New York. Infinite Plane, Grey Noise, Dubai, Interior Sun, Green On Red Gallery, 2014, Theatre of the World, Ormston House, Limerick, 2012, Upland, Mermaid Arts Centre, 2011, History of the Visitation, Green On Red Gallery, 2011, Counter Earth, Green On Red Gallery, 2010. Afterworlds, 2013, Spectral Gallery, 2011, Selected Works, 2010. Damien has thought at Limerick College of Art, Wexford College of Art, Sligo College of Art, Burren College of Art andbeen a Visiting Lecturer at the National College of Art, Dublin and Belfast College of Art. Damien Flood is represented by Green On Red Gallery, Dublin.